confidence of the owner in your work." 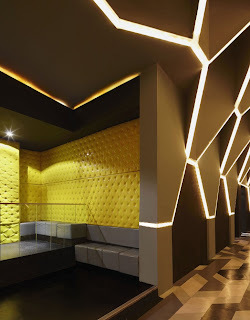 This is the sixth night club designed by the architect, graduated 12 years ago. 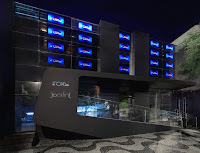 Josefine / Roxy is located in Savassi the busiest region of Belo Horizonte when it comes to night life. The place is 955m ² of built area and has two dance floors, three bars and 4 VIP areas with retractable divisories (which means it can be turned into one large VIP area). 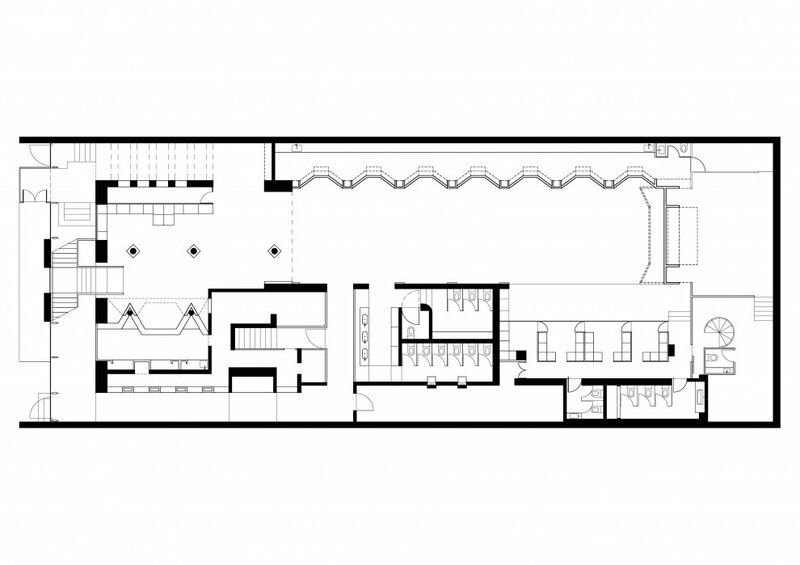 It also has two lounges and smoking areas with retractable roof. 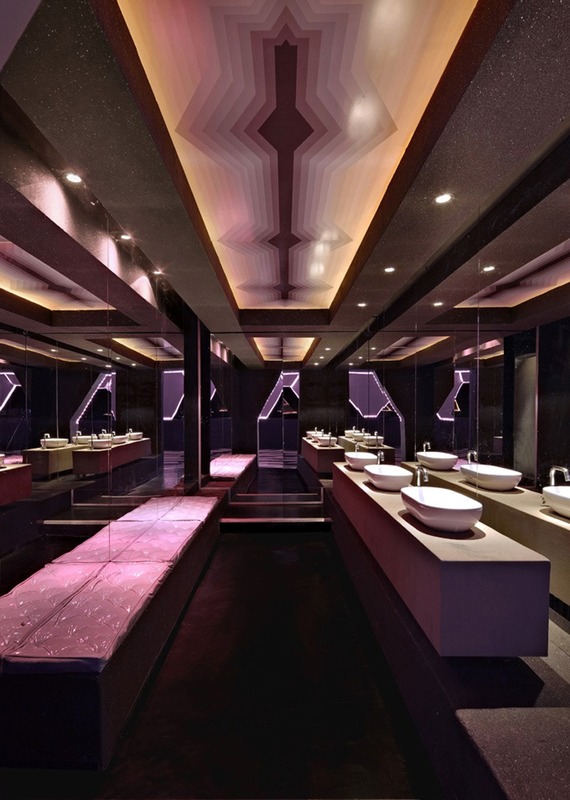 It follows the fundamental tenets of a nightclub - convenience, escapism, flexibility and modern technology. It was all designed regarding accessibility and mobility for people with special needs. The sculptural forms are now based on straighter lines and abandon the traditional 90-degree angle. The key shape adopted was the hexagon and the exploitation of all its faces, in different sizes. 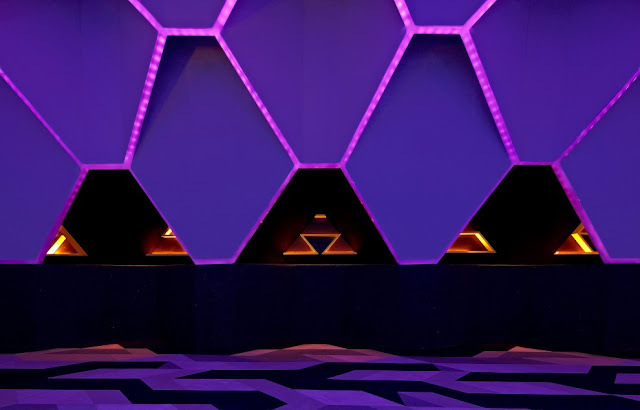 Prismatic elements, pillars formed from the union of triangles, squares and other lapidary figures instigate and transform one's perception depending on where it stands along the dance floor. The asymmetry of the design appears in every detail. The facade is now dark black. The glass walls visible from inside were coated with dark-silver glassy material. The internal structure that holds the facade together from inside is built up in triangle shapes made out of stainless steel. Each glass module above the entrance aisle received a LCD panel. 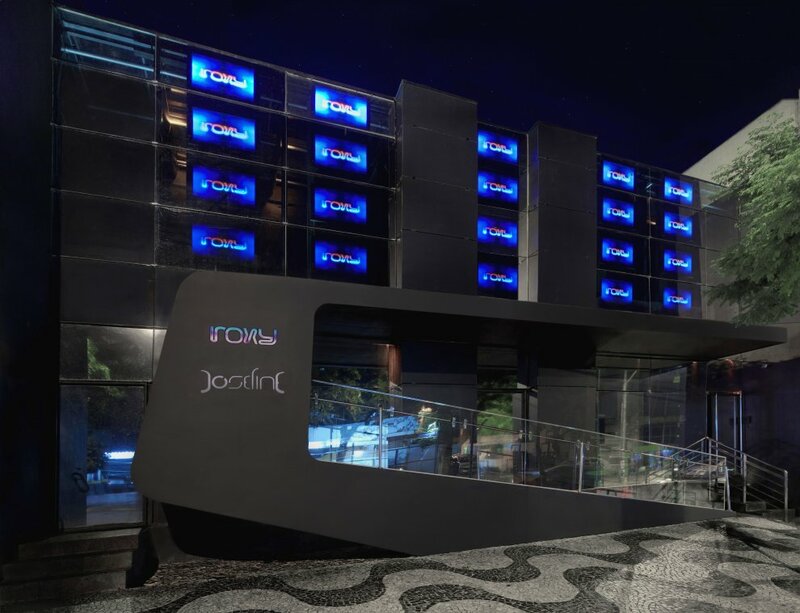 In total there are 20 LCD panels facing the outside of the club. 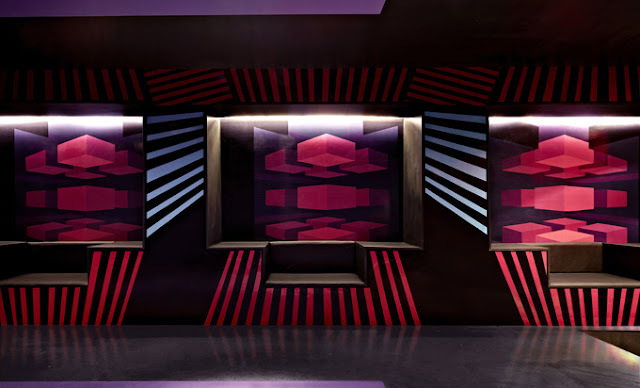 The DJ booth which was placed at the center of a stage, is positioned at the end of the dance floor, with a full view of the club. 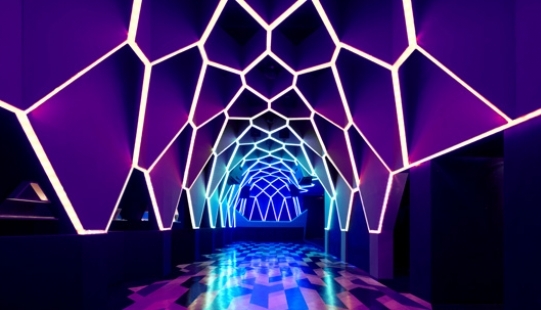 The dance floor is a long aisle that stretches itself for 30 meters long and 6 meters wide. It is now three times larger than the privious one. In one of its sides is the main bar, extended along its length. 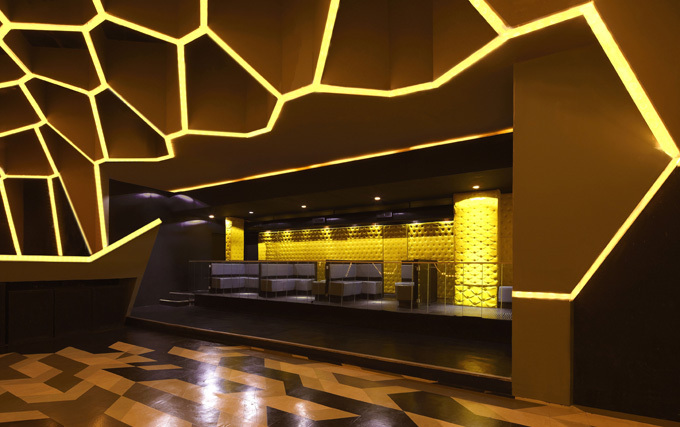 It is composed of seven bays that divide custom care and avoid crowds, which are a common problem for linear bars. The bays were framed into trapezoidal porticoes, built with double drywall and acoustic system that reduces the entry of sound, allowing the bartender listens perfectly customer's request at each niche. These gateways also hide the modular structure of the pillars supporting the estruture. This four tonnes structure is composed of over 100 hexagons. 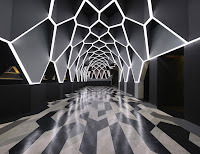 Each of these hollow hexagons serve as a protective for the LED light connected to a video pixel mapping panel control. The aluminium structure in "U" receives tapes LED `s inlays and then sealed with polycarbonate. 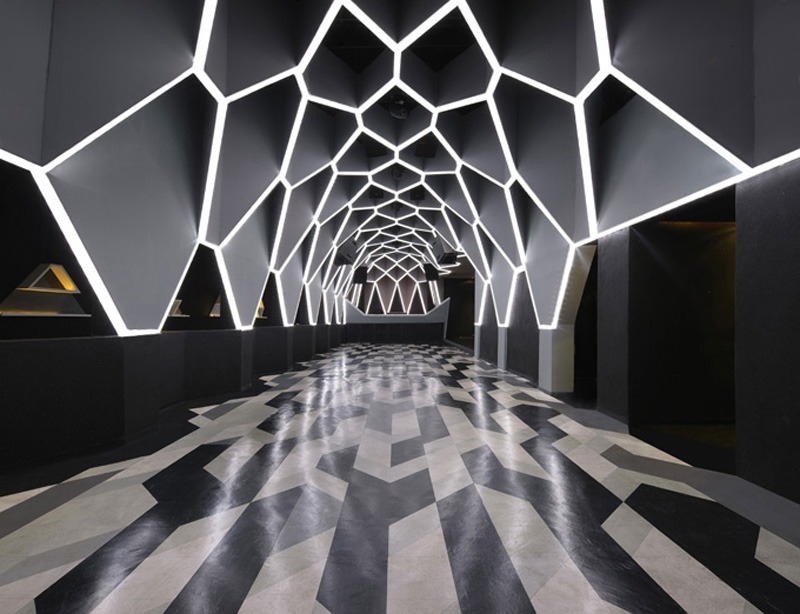 The result is a textured ceiling, three-dimensional lights in constant motion, teasing you to leave reality behind. 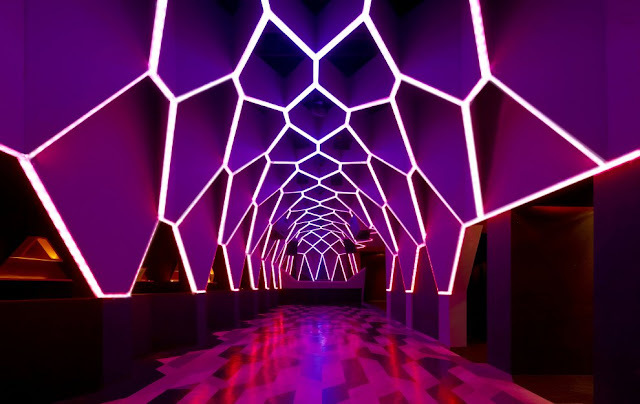 It's like stepping into a video clip with real graphics and lights that dance to the music. The architect: Graduated in 1998 from PUC / MG being a member of Company M&SG - Architecture and Environment where he majored in Environmental Design, Architecture, Industrial and Corporate. 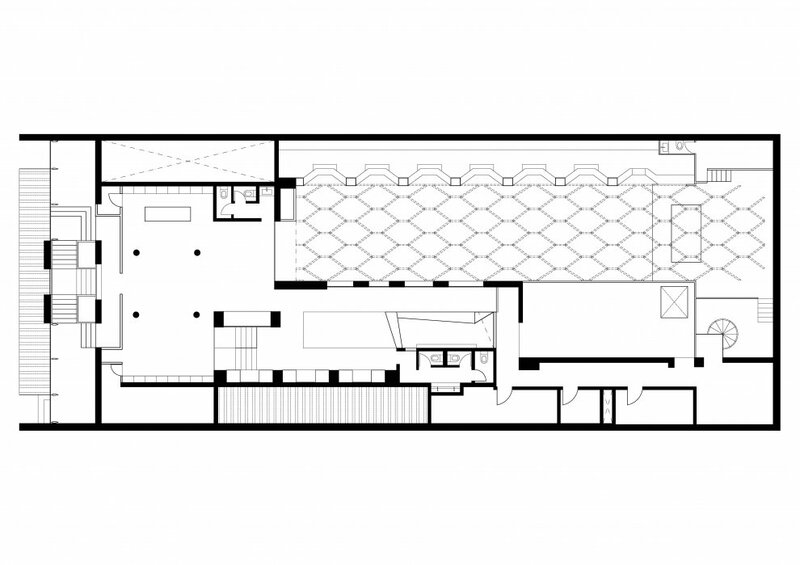 Fred also devised all the design works of the University FEAD/ Minas among other projects such as lounges, restaurants, condos and night clubs in Belo Horizonte.